Put the industry's largest marketplace to work for you. By bringing together the largest volume of auction, dealer lot and OEM inventory channels, Manheim is giving you anytime, anywhere access to more cars in more ways. With expanded channels, integrated solutions and smarter tools, you can experience the industry’s first omni-channel Marketplace designed to meet you where you are. Manheim In-Lane 81+ physical locations across the U.S. 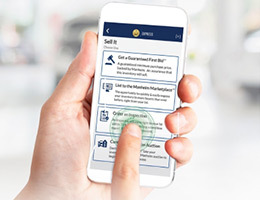 Whether you buy or sell wholesale, the Manheim Express app cuts everything that cuts into your bottom line. More than just a dealer-to-dealer network. 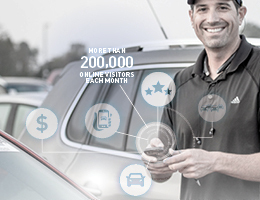 More than just mobile access to Manheim's wholesale marketplace. Manheim Express is the best of both! 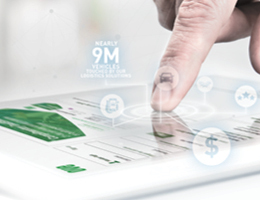 The Manheim Marketplace is the only one that has end-to-end solutions for all your inventory management needs — from reconditioning, inspection, transportation, financing, assurance and more. Save time and money, with an easier buying and selling experience. Make better decisions when you leverage the strength of our data and insights. Enjoy the benefits of working with our people and their expertise. Take advantage of the unparalleled number of buyers and sellers in our Marketplace. Your relevant, personalized buying and selling solutions. Every car, every time.